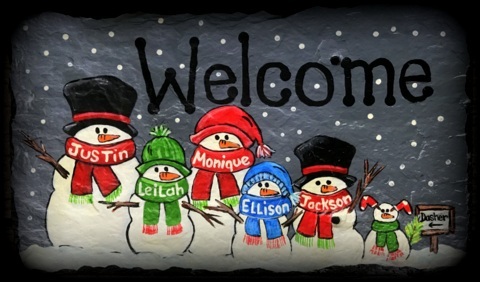 Paint the Snowman Family on an 8″x14″ repurposed slate roofing tile or the Penguin Couple on an 11″ square slate. The designs are easily transferable to the slate. Local Artist Kathy Smith will provide step by step directions to help personalize your slate. The slate will be ready to be hung with the supplied leather cord. The Bushmill Tavern House has amazing food. Plan to arrive early for dinner. Ticket Price includes a domestic beer or glass of wine.